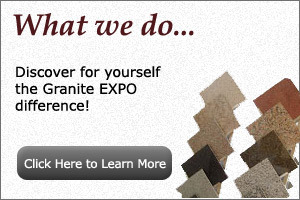 Granite Expo is one of the leading Chicago granite and marble fabricators and installers in the region, specializing in residential and commercial installations for a wide variety of builders, developers, contractors, and home improvement centers. 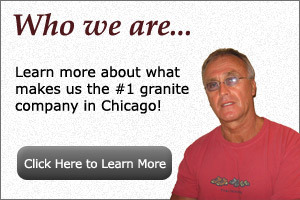 Find out why we’ve become one of the most trusted providers of granite in Chicago. We supply high-quality Chicagogranite and marble for installing countertops, and also utilize granite counter top brackets from the Original Granite Bracket Company on most of our installations. We also supply vanity tops, tub decks, fireplaces, tabletops, bar tops, reception desks, and much more. Stone options have become increasingly more popular in the Chicagoland area. Many of the bathroom and kitchen remodeling projects incorporate stone because of its clean look and durability. We’ve made it our purpose to provide our clients with the highest quality of materials available. We are proud of our state-of-the-art, clean, efficient Chicago granite facilities. We use the latest technology and equipment to ensure that your high-quality stone exceeds your expectations. 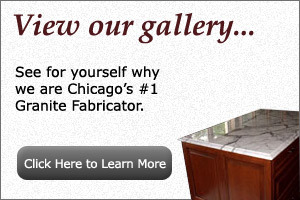 We understand the importance that our work plays in the success of your Chicagobathroom remodeling or other similar project, and your satisfaction is of the utmost importance to us. We strongly believe that the key to ensuring your happiness is communication, and we make partnering with our customers during their Chicago bathroom remodeling or kitchen renovation project a priority. Your home should be the way you want it to be, without exception. To see some of the projects that we’ve completed for our satisfied customers, view our photo gallery. From marble and granite design to delivery, we strive to exceed your expectations every step of the way. Located in Chicago, we proudly serve the Chicagoland area and surrounding Illinois communities as well. Many of our clients live just outside of Chicago, in a number of areas including: Schaumburg, Winnetka, Lake Forest, Highland Park, Orland Park, Naperville and Burbank. Contact us for all of your kitchen and bathroom remodeling needs, and we can get to work on creating your custom Chicago granite countertops today. Simply give us a call to receive a quote and estimate on granite materials and labor. As one of the area’s premier providers of Chicago granite and marble, we stand by our dedicated service and attention to detail.